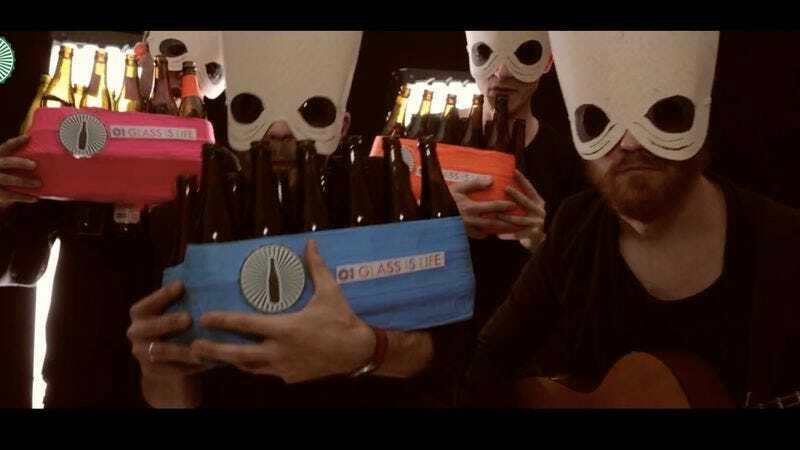 Danish musical act and recycling enthusiasts The Bottle Boys are so excited about the upcoming release of The Force Awakens that they decided to use their unique skill set to re-imagine the cantina scene from the original Star Wars. Not only did they dress up like Figrin D’an And The Modal Nodes and play the classic cantina song on bottles and guitar, they also edited the video to make it look like they were actually playing at Mos Eisley’s least reputable establishment. All the classic Star Wars characters are in the audience, and really loving it. Luke, C-3PO, and Greedo are way more into The Bottle Boys version of the song than the original. To be fair, though, the original cantina band seemed to mostly get ignored.